After my own tiny cat (who "keeps mom company" back in Iowa), Luka is my favorite. (Luka belongs to my friend Zoë.) Though very fluffy, very large, and a very laid-back, very "I HAVE NO F**** TO GIVE" cat, Luka is also a little monster. (Many of his unofficial nicknames include expletives.) Part cat, part dog, part lemur, he is. Lemur. Look at that tail. Alright, you little jerk. 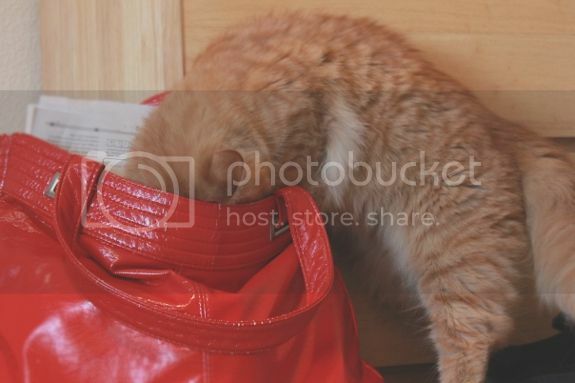 WHAT are you doing in my BAG? Oh, I see. 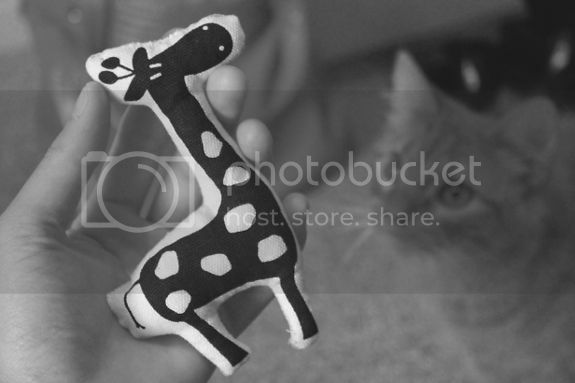 Just STEALING the little stuffed giraffe my MOM made me. I SEE HOW IT IS, CAT. 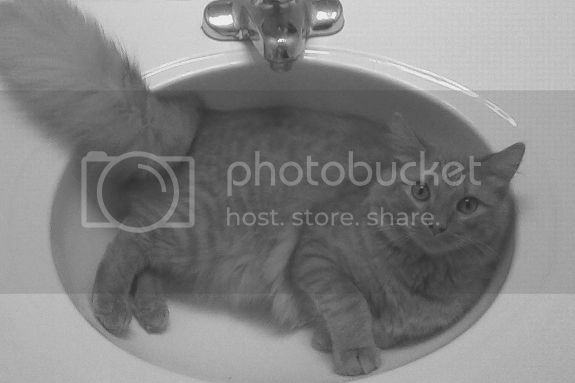 Also, this cat has an affinity for sinks. And running water, really. He's a fan of drinking out of the toilet. Soon after I snapped this photo, I turned the water on. Full blast, cold water. With Luka still in the sink. You know, to test him. The cat, true to form, DID NOT CARE. 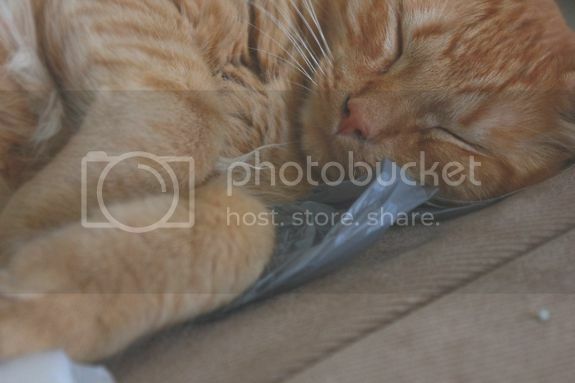 He's lucky he's so damn adorable and snuggly ... even when he sleeps on the plastic bags we intend to dispose of. 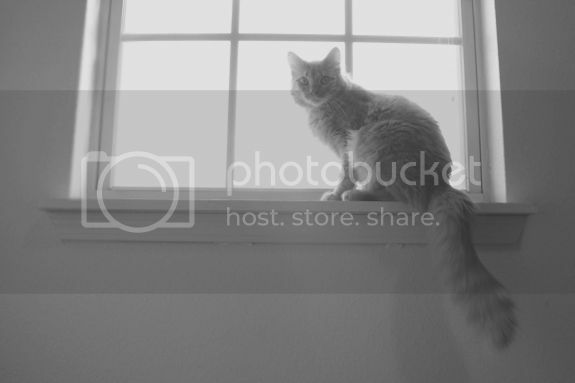 Love that cat! So cute! I am such a big cat fan - Luka is so adorable! 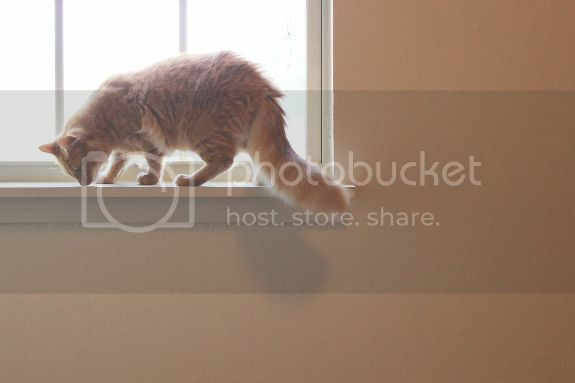 I love his fluffy tail, like a raccoon almost hahah. Omg, adorable! 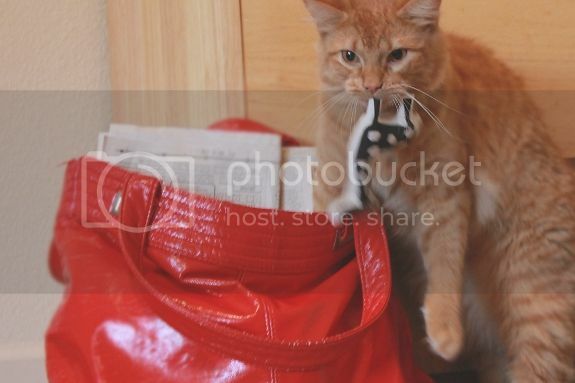 Love that he steals from your bag hahha <3 too cute. Oh my gosh, that's adorable. I love his tail! Thanks for doing this! I'm ridiculously vain about the fluffy dope. What an ADORABLE kitty!! I love cats!